Talented Canadian four piece Pilot Speed inked a multi-faceted worldwide agreement (minus Canada) with one of America's most successful independent labels Wind-up Entertainment. 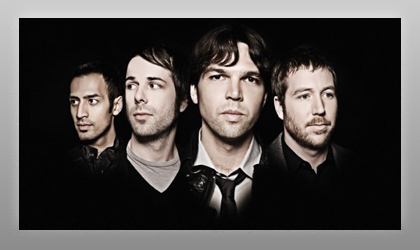 The band is signed to influential Canadian independent MapleMusic Recordings based in Toronto. The Wind-up deal encompassed recording, publishing, merchandising and touring on a worldwide basis, excluding Canada. In keeping with Wind-up's multifaceted approach to the music business, Wind-up's record company signed Pilot Speed to an exclusive recording agreement and Wind-up's publishing affiliate, Wallachi Music Publishing, signed the band to an exclusive worldwide co-publishing deal. Simultaneously, Wind-up's merchandising affiliate, Pronto Merch, signed the band to a worldwide merchandising deal (excluding Canadian touring and on-line sales), and Wind-up Development Corp. executed an agreement as a co-venture outside of Canada surrounding all touring, sponsorship, and endorsement activities. This four-pronged approach created a true partnership between Wind-up and its affiliate companies and the band. Wind-up Entertainment President Ed Vetri commented, "We admired Pilot Speed's impressive success in Canada, and looked to bring their extraordinary artistry, and spectacular live show to both the U.S. and abroad." Grant Dexter, MapleMusic Recording's CEO adds, "We were thrilled to be working with the team at Wind-up. They are among the most dynamic and forward thinking music companies in the industry. MapleMusic Recordings and Wind-up share a commitment to developing career artists, and were in the enviable position of working together to bring Pilot Speed to a global audience. I'd also like to thank A&R Worldwide's Sat Bisla and Brandon Fuller with the team members who were a pleasure to work with and we wouldn't have gotten the deal without their support. Sat and his team are passionate music lovers who work hard to get your band noticed."